It was moving week for our juvenile Tyrannosaurus Rex Jane! 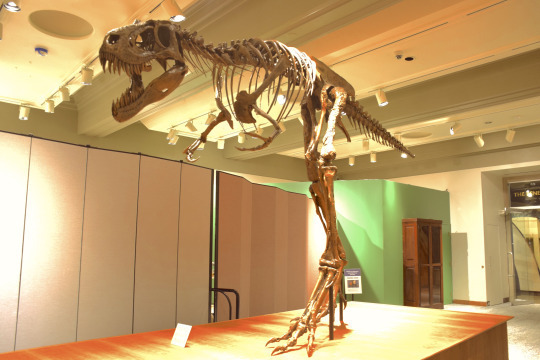 She’s been living in the spine of our museum for quite sometime, but this week she was moved just a few hundred feet away into our brand new gift store, where she’ll be the center of attention. 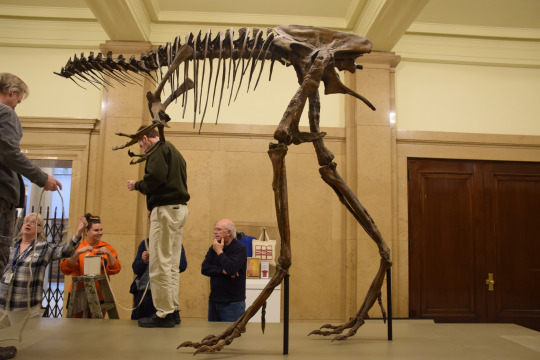 Staff carefully disassembled Jane by removing her skull, tail, and ribcage before they wheeled her stand to it’s new location and reassembled her. The gift store is currently undergoing renovations and will reopen later this month with three new exhibits. Jane sitting pretty in her new home.